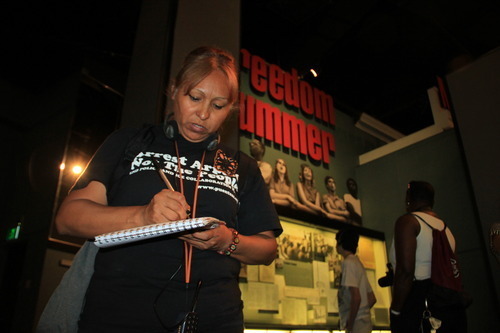 The Undocubus, a busload of undocumented activists from Arizona, rode across the Deep South throughout the month of August to call attention to immigration policies that criminalize immigrants and separate families. The group arrived at the Democratic National Convention on Saturday, 48 years and eight presidential administrations after civil rights activists enacted a similar strategy in 1964. The legacy of the civil rights movement holds rich implications for contemporary struggles over immigrant rights. In the lead-up to the 1964 presidential election, organizers working in Mississippi hosted Freedom Summer, bringing hundreds of whites from across the nation to spend their summer living alongside blacks and registering them to vote in some of the most violent segregated towns in the South.